Joseph Karesh, a rabbi turned judge, dies at age 88 – J. Many knew Joseph Karesh as the San Francisco Superior Court judge who presided over the 1976 Zebra murder trial and the 1978 trial of Black Panther Huey Newton. Fewer knew him as a rabbi. But in some ways, Karesh's brief rabbinical career left a legacy equal in power to the legacy created by his substantial legal accomplishments. 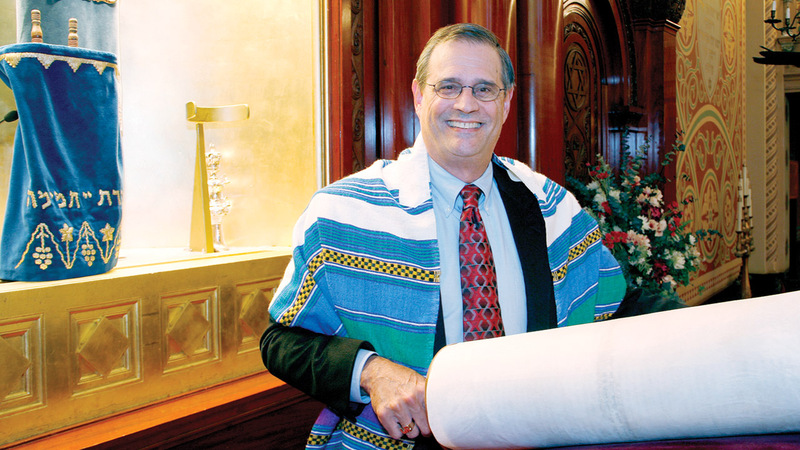 "I still meet older members of the community who tell me they recall Judge Karesh as a most inspiring rabbi and gifted teacher," says Rabbi Martin Weiner of San Francisco's Congregation Sherith Israel, where Karesh served as an interim rabbi in the 1930s. "It is amazing that they still have the positive memories after more than 60 years." Karesh died of a heart attack Wednesday of last week at his San Francisco home. He was 88. Born in Wilmington, N.C., Karesh grew up in Columbia, S.C., where his father, David Karesh, served as a rabbi for more than 50 years. He graduated from the University of Minnesota and from the University of San Francisco School of Law. Trained in rabbinical duties by his father, Karesh as a young attorney supplemented his income in the 1930s by serving as a rabbi at San Jose's Congregation Bikkur Cholim, which no longer exists, and as an interim rabbi at Congregation Sherith Israel in San Francisco. He also served as a chaplain at Travis Air Force Base. In 1940, he was appointed an assistant attorney general, and in 1951, became chief of the criminal division of the U.S. Attorney's Office. Later he became a U.S. commissioner and in 1960, was elected a Superior Court judge. In 1976, following an eight-month trial, Karesh sentenced four men to life in prison for the Zebra murders, 14 random killings that terrorized San Francisco between 1973 and 1974. Despite the sensational nature of the trial, Karesh kept his court manageable, shunning the use of bullet-proof glass and multiple court bailiffs, says his son Jonathan Karesh. "He had an amazing way of running the court in a low-key manner but in a way that everyone knew he was in control," says the younger Karesh, a San Mateo County district attorney who credits his father for inspiring him to pursue a career in law. "I watched him in court from the time I was 3 or 4 years old," Jonathan Karesh says. "He's very well-respected and really loved by a lot of people." Even during the Newton trial, Karesh kept his demeanor in check, repeatedly asking the defendant, "Are you finished?" when Newton would mouth off in court. Karesh later explained that it would have "served no purpose for me to lose my temper — a judge holds all the cards in his courtroom." Long after he had officially stepped down from his rabbinical duties, Karesh brought his rabbinical sensibilities into the legal arena. "One of his nicknames was "the rabbi" because he would quote things from the Bible or the Talmud — not necessarily on the bench, but sometimes just in chambers," Karesh's son says. "His big thing was `don't be afraid to do justice.' Judaism really stresses that." Karesh, who retired in 1978 just before his 70th birthday, continued working as a pro tem judge in Alameda County, trying his final case last year. When the case ended, Karesh and his son traveled to Israel for two weeks, a first trip for both. A memorial service for Karesh was held Tuesday at Congregation Sherith Israel. Karesh is survived by his wife of 40 years, Janet, and two children, Barbara Karesh of Concord and Jonathan Karesh of Foster City. The family asks that donations be sent to the American Jewish Congress, 121 Steuart St., S.F., CA 94105, or St. Ignatius College Preparatory School, 2001-37th Ave., S.F., CA 94116.